The official figure so far as the annual remittance through hawala channels into Kerala is Rs 20000 crore. This figure which is available with the Union Home Ministry tells us the story of this state which has become a hub for extremists. Today the focus of every possible national agency probing terrorism related cases is focused on Kerala and what one gets to understand is that the situation is going from bad to worse. The factors for such extremism are many. The communally charged up feelings in the state and also the fact that this state is almost a corridor between India and the Gulf. The hawala remittance into this state is the highest when compared to any other state in India. There is a large population from Kerala which lives in the Gulf and remitting money back home had always been a big worry for these persons. They then started to adopt to the hawala module which helped them transfer large sums of money with ease. Now it is a known fact that terrorists have a big role to play in hawala transactions and hence taking advantage of the situation, they began pumping in their money too. The Kerala government was in the know of money being sent in through hawala channels, but what they did not bother to check was that terrorists too were pumping in money using the same channels and today the problem is immense that they are finding it difficult to clean up. The National Investigating Agency which has its eyes on this state has also found that large sums of money which has been pumped in from the Gulf had been used to execute the blasts at Delhi, Bangalore and also at Ahmedabad. The biggest worry for any terrorist group is the finances and with this in place, it became easy for these groups to go about the other jobs. The Indian Intelligence Bureau says that a couple of years back, Kerala was only a corridor to terror in the South. However today the problem is immense and it is without a doubt the main breeding centre for such extremist groups in the country. Sources say that for the ISI it was easy to set up terror camps in this state. The political will was lacking and elections were far more important compared to national security. Due to politics smaller groups were allowed to grow and a main fighting plank during the elections became communal rioting. This helped such forces to grow and before anyone realised that they had set up base comfortably. While it was obvious that the nature of this state was changing gradually the first big information regarding the reach of the Kerala cadre was known only when a cell phone belonging to a person by the name Umar was traced. Umar was an operative of the Lashkar-e-Tayiba operating in Kashmir and investigations went on to show that he was from Kannur. Subsequently more news trickled in and it was found that three more persons from Kerala were killed in an encounter in Kashmir. This raised alarm bells among the security agencies who realised that it was probably for the first time that Indian cadres were used in the battle at Kashmir and ironically they were all picked up from Kerala. However of the men, Jabbar who was picked up the police for training stated that he thought they were being taken for training in Islam. I was taken aback when they told me my training would be with arms. In fact we were told if we did not take up arms then our families would be harmed. According to IB reports, the ISI has set up strong modules of the Lashkar-e-Tayiba in the Gulf. The Oman module is also very strong and the fact is that these modules are directly connected to the modules in Kerala. In fact when the ISI started to set up Gulf modules, it initially had a lot of youth from Uttar Pradesh. However gradually the cadres from UP were being replaced with those from Kerala. These youth were in charge of sending across funds and also pulling out youth from Kerala and sending them for training again using the Gulf route. For the ISI, the Gulf module is one of the strongest today and what works against India is that the Gulf and the Kerala are directly connected. In fact it appears as though modules in the Gulf were formed keeping Kerala in mind. Although the exact number of Lashkar modules in Kerala are not known, sources say that they could be anything between 50 to 100. The number of sleeper cells is almost double this number they also point out. Most of the cadres in these modules undertake a dual job. During the elections they become party workers and often create the necessary ruckus for politicians. This ensures that they get the immunity which helps them go underground and go about their real job. In this context it would be pertinent to note the role played by T Nasir, an accused in the Bangalore blasts case. He had become the perfect link between the modules in Kerala and the ISI. He was a part of the Students Islamic Movement of India before it was banned. He then moved out of Kerala and worked in Muscat and Dubai before coming in contact with agents of the ISI. He was asked to recruit youth back in Kerala for terror operations which he did on his return to Kerala. The likes of Nazir are trained in this job and they constantly keep a watch for youth who have issues abroad. They pick and chose youth with visa or job problems and offer help. While doing so they take them into their fold and convince them to take the extremist route. Once they manage to convince them they are either sent to Pakistan or Bangladesh for training. Over the past one year there has been a slight change in the manner in which they have been operating. The trips to Pakistan or Bangladesh for the newer recruits are proving to be dangerous for these groups and hence they have decided to set up dedicated training camps in Kerala itself. Recently the Kerala police seized compact discs and transcripts which had details on the Taliban styled military training. This was just a tip of the ice berg and further investigations led the police to find that there were many training camps in Kerala which followed the Taliban style of training. Such training in Kerala takes place in secluded areas of the state and it is clear that these youth who undergo such training are being prepared for bigger roles. The expectation from the Kerala modules is that they build up a strong force which can carry out attacks in India. A thorough home bred outfit is what they are looking for following the fall of the Indian Mujahideen. In addition to this they are also expected to provide cadres for the battle in Kashmir and very shortly they would be asked to assist terror groups fighting in Pakistan and Afghanistan as well. For the Indian agencies the primary worry is however the growth of the home bred extremist groups which they will need to scuttle as soon as possible. Prior to Kerala, the main modules were in Uttar Pradesh, but today Kerala is the clear choice. It takes every investigating agency a while to understand the pattern that is being followed in each state. They managed to overcome the problem in Uttar Pradesh and doing the same in Kerala will not be an issue provided there is political will. The agencies from across the country also push the case regarding a state more aggressively in case of a terror strike. Kerala has not witnessed a major strike so far and this is a deliberate ploy as per security agencies. Carrying out a strike on a large scale only gathers a lot of attention and this would ensure a complete crackdown. Hence these groups feel that it would be better to go about their acticvities quietly and breed terror for the rest of India. Take the case of Hyderabad which was a major hub for such groups. Today it is relatively quiet due to the crack down by the police and this was largely because of the back to back terror strikes in the city. The IB says that their investigations do not show one particular group gaining in this state. A lot of splinter groups and also cadres of the IM and the rest have all come together and are setting up their base in Kerala. Over the past year there has also been a lot of movement from UP as well. Kerala does not only provide a safe hiding ground, but also a route to escape into the Gulf once the heat is on. 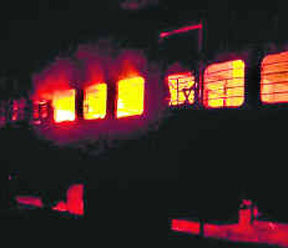 The chargesheet in the Samjautha Express blasts case which was filed recently states that two crucial players in the case are still absconding. Ramji Kalsanghra and Sandeep Dange are two very crucial players, not only in this case but also in those incidents relating to the Mecca Masjid and Ajmer blasts. The National Investigating Agency does realise the importance of nabbing both these men and say that a finality to this entire terror cycle can be attained only once these two are in custody. The NIA is on a hot trail of these two men, but the more important question is where are these men hiding. Some intelligence inputs go on to suggest that the moment was heat was up, they managed to slip into Nepal. This is not the first time that a person from this module has taken shelter in Nepal. Praveen Muthalik who is an accused in the Malegaon blasts too has taken the same route. He was however nabbed when he made a visit to India a couple of months back. The Nepal corridor has been often discussed and this used to be a primary route for ISI sponsored terror groups. However there is now a clear turf war on in this country between the two modules-one from India and the other from Pakistan. According to sources in the Intelligence Bureau, most of the Pakistan based modules have now shifted operations to Bangladesh since they find that to be a safer haven. When some fringe elements within the Abhinav Bharath set out to carry out terror attacks one of the aspects that was discussed was relating to the hideouts. Every terror group when it commences operations takes into consideration this very important aspect since they need to find a safe haven once the attack is carried out. These elements had discussed the possibility of Nepal being a hide out once operations were completed. The main issue at that time however was that the Lashkar-e-Tayiba and the Dawood Gang were using this base extensively and they did not want any clash with them. Over the years, they started to set up modules within Nepal and also created a safe route to slip out once an attack was carried out. This group however did not exercise this option for quite sometime since all the attacks that were being carried out by them were being attributed to the Muslims. However when the investigations took a different turn, some of the key men involved in the attacks began moving into Nepal. For this group Nepal was the best option since it is a familiar terrain for them. The language, the culture were similar and hence they found it easier to gel with the locals there and remain undercover. Once these modules in Nepal were activated there were changes in the Lashkar modules. There was a clash between the two modules and this prompted the Lashkar to close down several of its modules and shift into Bangladesh.The Lashkar too found this to be a better option when compared to Nepal since their operatives were finding it more comfortable to be in Bangladesh once again due to the similarities in cultures. Investigations into the Samjautha, Ajmer and Mecca Masjid blasts have gone on to show that there are very few modules within India. These men did thrive on the moral support of some people. Moreover it was also learnt that they did want to keep their operations a secret and hence did not involve too many people. Right from the planning stages, to the logistics and then the execution, the operations were known only to a hand full of people. The plan was to build up more modules within India over a period of time while they had decided to use all the modules created in Nepal as hide outs. The NIA is however doing a proper check on the whereabouts of the two absconding men and are even ready to bring them down from Nepal. There are no major issues on the diplomatic front to bring down criminals and hence this task should not be difficult. However they would want to be 100 per cent sure before they can make a final move. The NIA does realise that the probe will hit a road block if these two men are not nabbed and hence the trail on them is really hot. Samjautha-what track is the NIA on? The Samjautha Blasts chargesheet was finally filed after many twists and turns to the case. The accused now in the case are Swami Asimanand, the late Sunil Joshi, Lokesh Sharma, Sandeep Dange and Ramchandra Kalasangra. Although half the accused are either missing or are dead, the NIA has still gone ahead with this chargesheet and this is being seen as a measure to apply more pressure on Pakistan which is doing absolutely nothing about the 26/11 attack. The biggest talking point for Pakistan was the Samjautha Express blasts case ever since Swami Aseemanand made some stunning revelations about the persons really behind the blasts. On February 18 2007 a conspiracy was hatched to blast this train. The plan was executed to perfection and at Panipat on that fateful day the blast was carried out which resulted in the death of 68 lives. India was quick to suspect the Lashkar-e-Tayiba and accused it of attempting to derail the peace talks between India and Pakistan. The first round of investigations were conducted by the Special Investigating Team, Haryana and when they drew a blank the case was handed over to the National Investigating Agency only last year. The chargesheet today which depends largely on the confession by Aseemanand states that he along with Sunil Joshi, Kalsanghra, Dange and Lokesh Sharma entered into a conspiracy in order to carry out this attack. 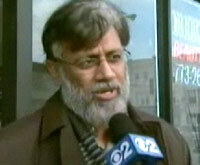 Aseemanand had said during his confession that he was angered with the terrorism being carried out by jihadi outfits. During his various meetings with his associates he had proclaimed that the only answers for bombs is bombs. He also said that this train was chosen due to the large number of Pakistani citizens who travel on it. As per the chargesheet, Aseemanand provided the finances and logistical support while Dange and the rest under the guidance of Joshi procured the material such as IEDs and executed the attack. The NIA says that the chargesheet had to be filed due to procedure and if it was time barred then the accused could have sought bail on a technicality. However none of them say that this was done in a hurry so as to put pressure on Pakistan which is investigating the 26/11 case as well. The Road ahead: The road ahead is long and it would be quite a task before the entire investigation to the case is complete. Swami Aseemanand is the only strong link that there is in the case and he is in custody. He has spoken almost everything that was available and he has also managed to provide the required leads for the NIA. Although confident, the NIA would still wait and see if Aseemanand maintains his confession when he is finally put on trial. The next big link to the case was Sunil Joshi. This man who was murdered under mysterious circumstances is considered to be the over all chief of this group. He was good at logistics and his cronies such as Dange and Kalsanghra reported directly to him. He was the man with most of the answers such as the modules and the cells which were set up by this group. However with Joshi dead, the biggest links to this case are now Dange and Kalsanghra. The NIA had announced a reward of Rs 10 lakh on their head, but till date the whereabouts of the two continue to be unknown. It would take some effort for the NIA to track these two men down since according to sources they are both believed to be hiding in Nepal. The NIA is however keeping a close tab on the two of them and their whereabouts. However this case is not just about the four men in question. It is a well known fact that these men have not executed just the Samjautha blasts. They are behind the Ajmer and Mecca Masjid blasts as well. It is a well planned attack and has been carried out with a lot of logistic support from the local modules of these respective places. The NIA says that the two absconding men will have some answers to this. However to get cracking on the entire modus operandi we would need to look at the three cases in its totality since it is the same module which has executed the attacks. In addition to all this the NIA is also looking for another accused in the case by the name Amit. He was an associate of the Dange and helped him execute the three blasts. Amit carries a reward of Rs 2 lakh on his head. He is also believed to be hiding in Nepal with Kalsangra and Dange. Author Vicky NanjappaPosted on June 20, 2011 Categories TerrorismTags Dange, Kalsanghra, NIA, Samjautha Blasts chargesheet, Sunil Joshi, Swami Asimanand, Vicky NanjappaLeave a comment on Samjautha-what track is the NIA on? Tracking down Major Iqbal will be a tough task ahead for Indian investigating agencies probing the David Headley link to the 26/11 attack. While the Chicago court which tried Tawwahur Rana didn’t make any noise about the likes of Major Iqbal and their involvement in this attack, the National Investigating Agency says that the money transaction between the Major and Headley will be a crucial link to the investigation. Even as Pakistan continues to deny the existence of a Major Iqbal, the NIA is sure that this is the man who has played a major role in the attack. The money trail for the recee conducted by Headley is an important link in this case. This angle to the probe brings back the question regarding fake currency and how it continues to dominate each and every possible terrorist funding. Investigations into the Headley link to the 26/11 attack show that the Major had handed over 25000 dollars and also fake Indian currency of the like sum to Headley when he was surveying targets for the attack. The attacks were carried out on high profile targets and hence Major Iqbal of the ISI wanted to ensure that Headley moved around with the elite. The account by Headley is a testimony to the fact as to how he moved around with the elite when going about his job. Headley got in touch with customers at Moksh, he stayed over at the Taj and all this has cost him a lot of money investigators point out. The money which was transferred to Headley was through a Hawala transaction. A certain amount of the money was handed over to him personally while the rest was arranged to be delivered on arrival at India. Headley who was paid in dollars did not have to go through the ordeal of exchanging fake currency. The fake currency is usually transported into India and then exchanged with a point man. This now throws open an interesting challenge to the investigators since it becomes obvious that there was another person in India who went about doing this job for Headley. The money had landed in from Pakistan and then the fake currency was changed at a 2:1 ratio. The interesting part would be who exactly changed this money for Headley which once again throw open the interesting question regarding a local link. The investigating agencies have put under the scanner several hawala operators and touts who change money for terrorist operations. There is an indepth investigation on as to who in particular carried out this job for Headley, sources also point out. Now coming back to Major Iqbal, it will require some expertise to nab this person. While the money trail would be one way of proving the existence of this man and also his location, the other ways would involve deriving voice samples and also another round of interrogation of Headley. India will exercise all the options available to them. Indian investigators say that the voice samples which they have been seeking from Pakistan may not come after all. This places reliance on the law suit filed by the family of the slain Israeli couple where the ISI is under the scanner. India which is planning on joining the law suit is looking to put forth a strong case against Iqbal so that the court does take cognisance of the same and summons him to New York. However India will be cautious before it joins that suit in New York since it would be a party to the suit only if it has a lot of evidence in the case. It should not become a wasted exercise is what a source in the Home Ministry says about India’s participation in the law suit. The voice samples which Pakistan had promised to provide India is another option that the NIA is exploring. While the pressure to get the voice samples have not worked either through diplomatic or judicial pressure, India is expecting the US to play a more crucial part in this. India would seek the assistance of Pakistan to get the voice samples as it is necessary for the investigation, sources also added. National Investigating Agency sources say that they would be exploring the option of interrogating Headley once again, considering that the US has said that it could be a possibility if India did make that demand. The last time around the questions were pretty general in nature and this time it is expected to be more specific. There is an absolute need to nail the likes of Major Iqbal and Headley is the man who can detail him and help out Indian investigators. The National Investigating Agency which is probing the David Headley-Tawwahur Rana angle to the 26/11 case appears not to be deterred by the verdict at Chicago. We were never basing our investigations completely on the case built up the United States and we have been conducting our own investigation ever since these two links to the attack had come out, sources in the NIA said. Although the NIA has taken a couple of leads from the investigation conducted in the United States of America, the probe in India has been by and large independent. However there may a slight delay in the case of Rana since the man’s attorney has indicated that they would prefer an appeal before a higher court. When the legal process is on, the US may not grant immediate access to Rana, sources also pointed out. The investigations that have been conducted by the NIA have more aspects when compared to the US investigation. The investigation in the US dealt with the broader role which is alleged to have been played by Rana for the 26/11 attack. However since it was a crime that was committed in India, the NIA has been dealing with the finer aspects of the case. The NIA has so far managed to establish that it was Rana who had provided a cover for David Headley as a result of which the latter could go about his business unabated. The NIA says that had Rana not provided the cover as sought by David Headley, it would have been virtually impossible for him to go about scouting targets in India. He The question that would however require to be answered is how much of Headley’s plan did Rana know. The NIA says that investigations have shown that Rana was in the know of Headley’s plan. We will need to question Rana on these aspects and build our case. However as of now it looks like a clear case of criminal conspiracy under Section 120(B) of the Indian Penal Code. Section 120(b) reads thus: Whoever is a party to a criminal conspiracy to commit an offence will be punished with death, rigorous imprisonment for a term of two years or upwards. The NIA says that in the wake of this verdict, the manner in which this case would dealt with will not change. The questionnaire that has been prepared will be untouched and once we get access, we will still ask the same questions. It is clear that nothing new has come out of this trial, but that does not mean we cannot proceed with our line of the investigation. During the questioning of Rana, it is extremely crucial for the NIA to establish the link he had with Headley. If they are able to do so with Rana’s statements, then it puts to rest a major part of the case. The light at the end of the tunnel for the NIA is that part of the court verdict which finds Rana guilty of helping Lashkar-e-Tayiba cadres. This part of the probe would be crucial too since the NIA will seek to find out more on the Lashkar/Rana and the Indian connection. The NIA would also look to probe the Rana visit to Kochi. The questionnaire would be more or less based on the questions that the NIA asked David Headley. However there is a lot of paper work that remains before India can finally seek access to Rana. At the moment the Home Ministry has handed over a couple of documents to the NIA. At the moment, there is no official word from the US regarding the permission to question Rana. This will need to be done through diplomatic channels, but the US does not have any case to deny us the right to question him considering the fact that his actions have affected India. While India is hopeful of getting access to Rana, the only issue may be the slight delay since Rana has indicated that he would prefer an appeal. As the much hyped Tawwahur Rana trial gets underway in Chicago, India poses an optimistic note since they expect answers to a lot of their questions. Sources both in the NIA and the Intelligence Bureau say that they have decided to adopt a wait and watch policy during the course of this trial and would prepare their next move only once the trial is complete. A draft of the questionnaire is already ready and the Indian agencies ie the NIA will head to the United States once they are accorded permission to probe Rana. Sources say that an extradition of Rana is highly unlikely and one must not get too optimistic about the same. Pressure and requests through diplomatic channels will be made to secure him, but at the moment it appears that the extradition is a distant possibility. Hence the Rana case would be on the lines of the David Headley one. This would again mean that Rana would be convicted in India, but in absentia. Although India would have preferred having Rana in their custody they are still optimistic since this trial is not just about one case, but it would put a cloud on Pakistan’s claims that it does not support terror. If at all Rana sticks to his statement that he was working for the ISI and not the Lashkar-e-Tayiba, then it would generate immense heat on Pakistan. Moreover it will also compliment the most wanted list that India has just prepared which makes a mention of several members of the Pakistan establishment who played a part in the 26/11 attack. Indian agencies say that this trial is more important for them when compared to the US. We have lost more citizens in that attack and more importantly it has been carried out on our soil. However there are various laws which prevent an extradition and hence we need to make the best use of whatever information that we get. Although during the trial, the main focus would be on the links between the ISI and terror, India would still go ahead with its own set of questions. The likes of Sajid Mir, Major Iqbal and the rest all need to be exposed and these were the persons who were part of the horrific plan since day one. In addition to this the testimony by Headley who would be a witness in this case is also very important since he will need to substantiate his claims as to how Rana had helped him scout targets while he was in India. The IB says that this trial will be a big headache for the ISI in particular which will need a face lift after this trial. The process to shift/change a lot of senior officials in that outfit has already commenced and once implicated Pakistan would not want any of them to part of the establishment. Pakistan at any cost cannot afford the questioning of these men since the lid of the entire establishment could be blown off. This country would make it look as though it has entered into a cleansing act to keep the rest of the world quiet but in reality would be protecting these men. However Indian agencies also wonder whether the trial may live up to all the hype. On one hand Rana may speak, but then it would be hard to establish his testimony due to the numerous aliases that have been used by these ISI officials at the time of the operation. Take the case of Sajid Mir who continues to be a mystery man for all investigating agencies. He is without a doubt the most important man in this entire case and the Pakistan version of Mir continues to be that he is nothing but a cleric and no such person exists in the army or the ISI. In addition to this one cannot expect much of a testimony from David Headley to strengthen the Rana case. He has a plea bargain in place and one can say with a certain amount of confidence that he will not divert even an inch from what he has already spoken before to both the Federal and Indian authorities. What will NIA ask Rana? The National Investigating Agency is all geared up to question Tawwahur Rana, an accused in the 26/11 case who will be facing trial in the United States of America later this month. NIA sources say that the questionnaire for Rana would be more on the lines of the David Headley one, but there would be more additions to it once his testimony before the US court is complete. Although the ISI links of Rana will be the prime focus of the questioning, India would be looking to get more information regarding the role played by Rana while helping Headley undertake his mission in India. This is a crucial missing link in the NIA investigation which is looking into the Headley-Rana link to the case. It has been ascertained that Rana had helped Headley with the travel papers to India, but the other unanswered question is whether Rana and Headley had taken the help of any local elements while they were in India. Headley’s interrogation did not give a clear enough picture of the local link and they would be relying upon Rana to get the required information. The next part of the questioning would be obviously the ISI angle to the case. Rana has made it clear that he never worked for the Lashkar-e-Tayiba. He has maintained that he was working for the ISI as an agent and he carried out the job assigned to him since he thought of it as national pride to work for the ISI. Sources say that when India questions him, they would be interested in trying to find out who exactly were the men in the ISI that he reported to. There is Sajid Majid, Major Iqbal and Abu Qahafa who continue to remain a mystery in this entire case. These men are part of the ISI and they have been mentioned by Headley too. However Headley did not go on to provide more information on these men and said that he was not be too sure whether they had given him the real names while dealing with him. Various attempts to find the right names have gone in vain and India would be hoping that Rana will throw more light on these men. The road ahead to get the real identities of these men is going not going to be an easy affair. The NIA says that they will have to depend on voice samples heavily and unless Pakistan offers any sort of cooperation it would be tough to crack this aspect of the case. Pakistan’s interior minister Rehman Malik has assured to provide the voice samples and India feels that if at all he lives up to his word it would be truly helpful to track down these ISI agents. The third aspect of the questioning by the NIA would of course deal with the role of the Lashkar. Although Rana has claimed that he didn’t deal with anyone from the Lashkar, the NIA would still go after this point since a large part of the charge sheet which is under preparation deals with the role of this dreaded outfit. The NIA has not prepared any specific questionnaire on the Lashkar link to Rana as yet. We would wait and see what he has to say at the trial since we do expect that the prosecution will question him about that and based on what he would say, we would question him on this aspect sources also pointed out. Apart from this the questioning would also be based largely on the investigation conducted by the NIA and also on what David Headley had spoken about Rana during his interrogation. This would mean that the NIA chargesheet would be filed only once the questioning of Rana is completed. The trial is expected to complete by the end of May and India expects access to Rana during the later part of June which would mean a chargesheet would be ready by the mid of July, sources also added. Post filing of the chargesheet, India will try and seek an extradition of Rana and if this does not happen they will have to try him and convict him in absentia like how they would do in the Headley case. Currently it is possible to extradite Rana since he has not entered into any plea bargain. Home Secretary, G K Pillai says that they expect that the trial would be completed in two weeks once it commences on May 16th and one will have to wait for that result before commenting further on the case, he also said. Author Vicky NanjappaPosted on May 11, 2011 June 12, 2012 Categories David Headley, TerrorismTags 26/11, Abu Qahafa, G K Pillai, Headley, ISI, Lashkar-e-Tayiba, Major Iqbal, NIA, Rehman Malik, Sajid Majid, Tawwahur Rana, United States of America, Vicky NanjappaLeave a comment on What will NIA ask Rana? It was an interesting move on part of the ATS which went ahead and filed a 305 page chargesheet against Praveen Muthalik in the Malegaon case. This chargesheet is significant since it comes at a time when the National Investigation Agency has been ordered to take up the same case and re probe it. What can one expect in such an event? Many questions are being asked and this development makes one wonder whether Home Minister P Chidamambaram was right when he told the US Ambassador that he doubted the legality of the constitution of the NIA. However going by the rules of the NIA it clearly states that it can take over any investigation pertaining to terrorism in the country. Now that this has been done in the Malegaon case, the question is what relevance does the ATS chargesheet have? Legal experts term the chargesheet as a mere formality because the NIA will sooner or later file a fresh chargesheet which will finally be the one which will be referred when the trial commences. At no point would the investigating agency want to try and push two chargesheets into the court room which tries these accused. The accused would get an upper hand in the case and seek an acquittal on the grounds of double jeopardy. This clearly means that the chargesheet which has been filed by the ATS will not be the one used during the trial. The accused in the case would have to wait to much longer before their case could go on trial. The NIA would certainly probe the case afresh and as per Rule 6 of the NIA act of 2008 they have the power to take fresh statements from all the accused who find a mention in the ATS chargesheet. Sources say that the NIA investigators would go through the entire exercise once again and only then come out with a chargesheet. Ganesh Sovani, advocate for Sadhvi Pragya Singh Thakur one of the accused in the Malegaon case says that the chargesheet by the ATS is a formality and it is their perception that they have put into it. Ultimately the matter will be probed by the NIA and it is their chargesheet that would prevail. Whether the NIA would depend on the chargesheet filed by the ATS would be a matter that one would have to wait and see. However it seems unlikely since if that is done then the very purpose of the NIA taking over the case becomes a futile exercise. 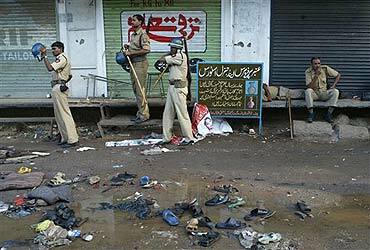 The Malegaon case will be the first time that the rules of the NIA will be tested. Indications are that the ATS will not go to trial with the chargesheet that they have filed today and would instead wait for the NIA to take over and put forth their version before the court. Moreover the NIA probing the Malegaon case makes more sense considering the scope and the jurisdiction that the agency has. Sources say that going by the statement of Swami Aseemanand, it makes it clear that the Malegaon case was linked to the Mecca Masjid, Ajmer and also the Samjautha Express blasts. The NIA will not view both the Malegaon cases as individual cases but would join the dots where the other cases are concerned. The NIA so far has independently probed all the accused involved in this case and are still on the hunt for Ramji Kalasanghra and Dange who are most crucial to the case. The Home Ministry of India termed the German Bakery case as unsolved before handing it over to the National Investigating Agency. The German Bakery case had a lot of significance since it was the first major attack that India faced post 26/11. The NIA today has its task cut out since not only will it have to probe the case afresh but will also have to overcome several obstacles that have been set during the shoddy investigation that the ATS carried out. This case was mired in controversy since day one when the ATS claimed to have made a very important breakthrough. Various theories were being floated at that point of time that the target was part of the David Headley reccee. The first of the arrests was that of Sammad Bhatkal, a resident of Bhatkal in Karnataka. Claiming that he was related to Indian Mujahideen founders, Riyaz and Iqbal Shahbandri Bhatkal, he was picked up from the Mangalore airport. Despite various theories being floated by the ATS, Sammad was released on bail. The next person who was on their radar was a man by the name Maulana Shabir. He was termed as the financer of the blasts and he was being interrogated on these lines. However the ATS found no leads and to make matters worse, there was a hue and cry in his home town of Bhatkal where people said this man has no home of his own and how can he be the financer of the blasts. After the Maulana fiasco, came the Himayath Baigh angle to the case. In their chargesheet, the ATS had named him as an accused. However his arrest and interrogation was not short of drama with Baigh claiming that he had not been given access to his counsel. To add to the embarrassment, Baigh had also stated that he had been picked up much before the German Bakery blasts. There was more embrassment when the ATS chief said that Baigh a chief of the Lashkar-e-Tayiba had visited Pune at the time of the blasts. However a deputy in the same force contradicted the statement saying that Baigh had never visited Pune. The ATS however decided to go ahead with the chargesheet but then again there was a contradiction. The ATS chief, Rakesh Maria had claimed that the blasts were triggered off by a mobile phone, but the same thing does not find a mention in the chargesheet. Going by the events, the NIA has a major task on hand. Sources say that they will first have to go through the investigation conducted by the ATS and preliminarily the finding is that there have not been any forthcoming leads and it appears that the case was conducted in a hurry. The question now is whether this probe will now focus only on the Lashkar and Indian Mujahideen angle. The main link to the Lashkar angle was the fact that David Headley had conducted a survey in some of the places in Pune following which this city was targeted. The NIA itself is seized off the Headley case and so far there was no concrete link showing that the German Bakery was part of his survey. The only concrete Headley-Pune link that they have managed to find is that he had visited the Osho Ashram and had carried out a survey over there considering the number of foreign tourists that visit that place. When asked whether there would be a Hindu angle being probed in this case, sources say that it is too early to tell, but they would be exploring that possibility as well. First on the cards for the NIA would be to inspect the ammunition that has been used in the various blats that have rocked the country. So far they have managed to track the similarities in the routes through which the RDX used for the Mecca Masjid, Samjautha blasts and Ajmer Blasts were brought in. The same exercise would be conducted in the German Bakery blasts as well. In addition to this the NIA would also find the links between the Varanasi and the German Bakery blasts. The Varanasi blasts blast has been credited to the Indian Mujahideen and the Intelligence Bureau had claimed that this blast announced the resurgence of the IM. Sources say that investigations into the German Bakery case may take nearly 5 months to complete. It does not pertain to just one individual case, but there are other cases which are inter-linked and they have to be looked into in depth.